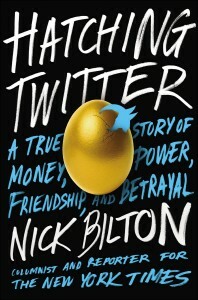 The cover art and subtitle of Nick Bilton's Hatching Twitter: A True Story of Money, Power, Friendship, and Betrayal are perhaps more sensational than the actual story of Twitter's creation turns out to be, but it's still a really interesting read for anyone who's curious how a company with such a dominant place in our culture came about. 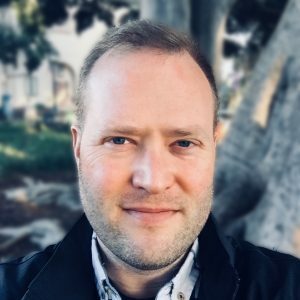 Bilton takes us back to the tentatively formed relationships that brought Twitter's founders together, the failing startup idea that necessitating thinking up a new idea that would become tweeting, and the tangled web of investors, supporters, detractors and high-profile users that would redefine Twitter many times along the way. If the account is to be believed, and Bilton seems to have done his research, there was a fair amount of drama along the way: ego and jealousy between founders of the success and limelight the others received; dealing with conflicting demands from users, media, investors and employees; inexperienced leaders finding themselves in over their heads, and so on. I doubt these scenes would be sufficiently exciting for a Hollywood dramatization a la The Social Network, but it was actually refreshing to learn of the real and human ups and downs that were at play. A central theme in the book is born of the tension between two of the founders` vision for how people should use Twitter: to post information about what YOU are doing versus to post information about what's going ON around you. It may feel like a minor distinction, but the decision about which question Twitter wanted to ask its users plays a pivotal role in how the company was run, promoted and grown over time. In some ways it's the kind of question people are still trying to answer today, about how Twitter can and should be used (and the answer still seems to be that there is no unifying answer). The one other thing that struck me about Twitter's story is what a huge deal the inability to confront and resolve conflict (interpersonal and professional) played in some of the most difficult and significant moments in the life of the company. I lost count of the number of times that one or more of the key actors` severe conflict avoidance translated into huge losses of time, damaged friendships, misunderstandings, or the company's direction getting way off course. We might want to believe that people who create successful (if not profitable) tech companies like Twitter aren't mired in conflict, but in Twitter's case it seems they barely survived despite lots of it; these folks just seemed to have a hard time working with other people. As with Netflixed, Hatching Twitter is pretty light on technical details when it comes to the building of Twitter's infrastructure. The book covers the fact that site outages were a big part of Twitter's early identity, and even the origin of the famed "fail whale," but if you're looking for any geeky description of their software coding, database structure or web hosting setup, it's not here. All in all, I enjoyed the book and it is the most comprehensive history of Twitter I've seen so far. It would be interesting to hear more from some of the founders in their own words, but since Twitter's story is still being written, that could be premature.